Residential property sales exceeded �16.5 billion in 2015, according to statistics published by Registers of Scotland (RoS). Pic: Phil Wilkinson/TSPL. Residential property sales exceeded £16.5 billion in 2015, according to statistics published by Registers of Scotland (RoS). A total of 97,701 sales took place across Scotland in 2015, the highest annual figure since 2008, and an increase of 4.5 per cent compared to the previous year. Kenny Crawford, Registers of Scotland’s director of commercial services, said: “The total value of the residential property market continues to make a significant contribution to the Scottish economy. “In 2015, the market totalled £16.5 billion, an increase of 8.2 per cent on the previous year. The City of Edinburgh property market represented over 17.2 per cent of this figure, bringing in over £2.8 billion to the Scottish economy. The City of Edinburgh had the largest volume of sales, achieving 11,991 sales in 2015, up 8.3 per cent on 2014. This was closely followed by Glasgow City, up 12.2 per cent to 11,616. 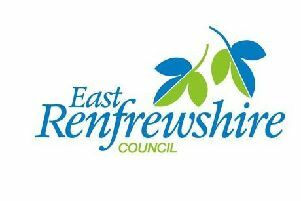 East Renfrewshire experienced the largest annual growth in the volume of sales, with a 13.1 per cent increase to 1,861. Aberdeenshire saw the largest decrease in volumes, down 11.8 per cent to 5,108. The average price of a residential property rose in 2015, up 3.6 per cent to £169,402. The local authority area with the highest average price was the City of Edinburgh, where the average price for the year was £238,036, an increase of 4.9 per cent on 2014. The highest annual change in average price was in West Lothian, rising 9.1 per cent to £161,014 in 2015. The only local authority area to show a slight decrease in average price was East Renfrewshire, down 0.6 per cent to £227,369. While the average price for all property types increased in 2015, semi-detached houses showed the largest rise in price, up 3.4 per cent to £157,995. Detached properties had the highest average price at £249,921. Flatted properties have the highest volume share, claiming 36.2 per cent of the total market. The lowest share of the market was semi-detached houses, with 17,974 transactions accounting for 18.4 per cent of the market. These statistics cover all residential sales between £20,000 and £1 million, including those that did not involve a mortgage.